Two Nights Only! 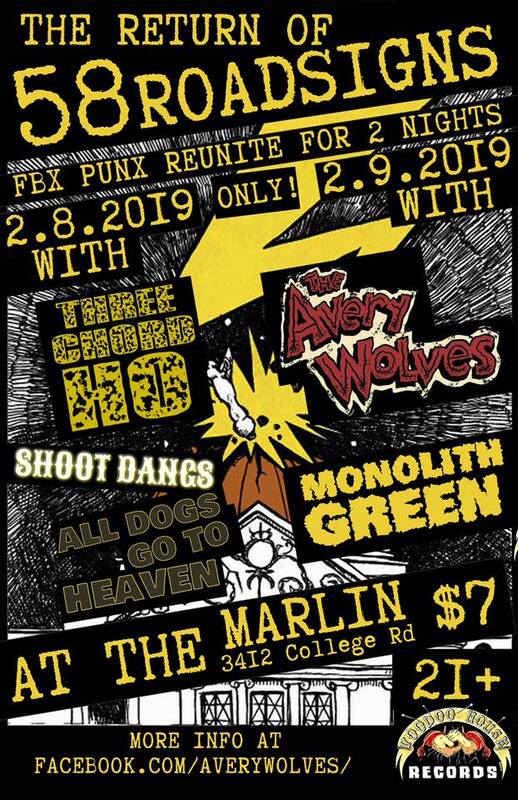 58 Roadsigns will reunite on the Marlin stage to bring back some good ol' punk rock to Alaska. You won't want to miss this rare event! 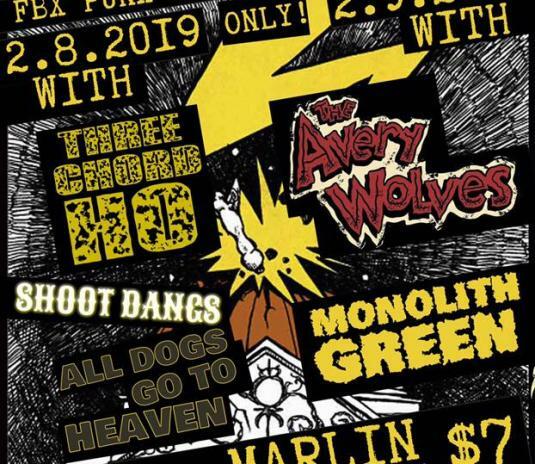 With support from Monolith Green, The Avery Wolves, Three Chord Ho!, The Shoot Dangs, and All Dogs Go To Heaven. 21+ w proper ID. Friday February 8th and Saturday february 9th.